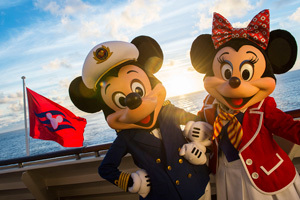 Meet Mickey and Minnie on a Disney cruise. From the moment you board these ships — and even in the cruise ship terminal before you board — you’ll have photo ops with as many as 22 characters, including Mickey Mouse, Minnie Mouse, Donald Duck, and Peter Pan. These opportunities are listed in the daily schedule, and there are plenty of them throughout each day in public spaces as well as in the kids’ club and on the private island. On themed days, such as pirate night, kids even get to meet Pirate Mickey. In addition, the line also shows first-run and classic Disney animated films in the ships’ gorgeous theaters. Highlight: The best moment, at least for little girls: The meet and greet with eight princesses — including, for example, Cinderella and Snow White — who gather in the ship’s main foyer to sign autographs and chat with the (often dressed in costume) little cruisers. Kids rock out at the Pajama Jam. This fruitful pairing has produced now-beloved onboard events including Dora’s Dance Party. There are also meet and greets throughout most sailings on five of the line’s ships. Highlight: Lookfor a Pajama Jam Breakfast with SpongeBob SquarePants. Update: As of Summer 2015, Norwegian is no longer partnered with Nickelodeon. 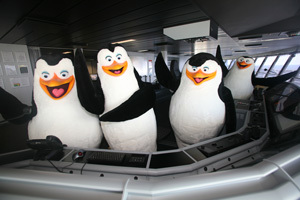 Madagascar characters wander the ship. On six of the line’s ships, kids can meet the characters from “Shrek,” “Madagascar,” “How to Train Your Dragon,” and “Kung Fu Panda” at character breakfasts. The characters also join the weekly parade, offer photo opportunities throughout the sailing, and are featured in 3-D DreamWorks films in the ships’ theaters. 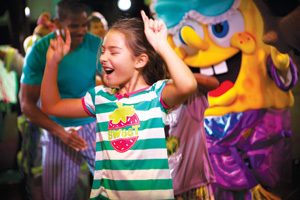 Highlight: The characters make many appearances to lead activities like story hour and dance parties at Adventure Ocean, Royal Caribbean’s fabulous — and free — kids’ club. 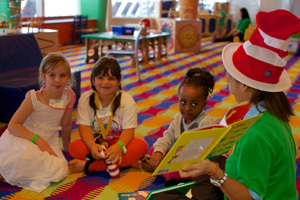 Carnival offers Seuss-themed story hours. 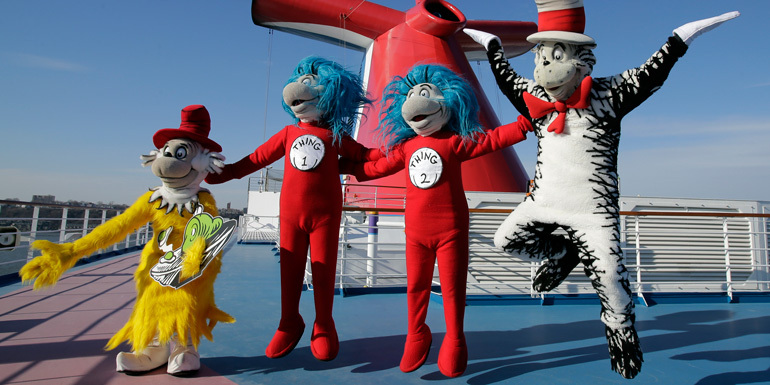 Carnival just announced on Wednesday its partnership with Dr. Seuss and is planning to roll out the program throughout the next 18 months. Look for “Seuss-a-palooza” story hours, character parades, cabin décor themed to Dr. Seuss characters, and films (such as “How the Grinch Stole Christmas”) on deck. The line is also planning to open Bookville spaces on two ships: Carnival Freedom in May and Carnival Vista in 2016. Highlight: The Green Eggs and Ham breakfast includes playful dishes (cotton candy-topped desserts, strawberries dipped in white chocolate that’s been tinted blue, and, yes, actual green eggs and ham) as well as visits from characters such as the Cat in the Hat and Thing 1 and Thing 2. What’s your favorite character meetup on a ship?